Logging AFR with AP v3 and AEM UEGO - How to wire it up. Can anyone confirm for 04 STi that the white wire in the o2 harness is the one to tap also? Its the same wire as in the original post. I just did this with my 04 STi a couple of weeks ago. Thanks man, doing mine soon! I've had this done to my car and it's very convenient for AP to log from wideband, BUT now this sets my O2 sensor in "not ready" state and makes the emission state inspection fail.. Anyone else run into this? worth it to note this will only work with a protuner. Im pretty sure ATR does not have custom sensor logging enabled. 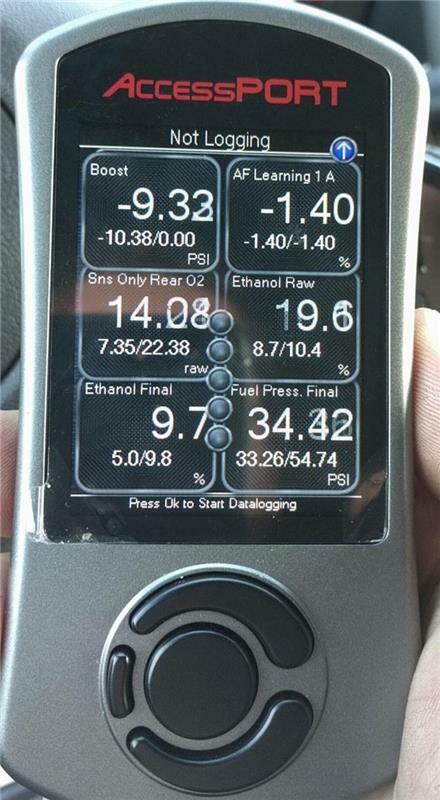 So I know I'm late to this party but can anyone confirm that you have to have protuner in order to log custom sensors? Last edited by TheTooTall; 01-15-2019 at 04:18 PM. No, you only need the updated version of ATR. I don't remember the exact version, I think it was introduced after they started forcing people to take the class. I don't run the new version of ATR so I just tap into the TGV harness and do the conversion in excel, works perfectly fine and will work with all versions of ATR. I could be misunderstanding what you're saying so forgive me but... If you want to log/view custom sensor inputs you need to supply ATR with the voltage over data point information for that particular sensor so it can be converted into usable information. For that, you would need access to ATR or a Pro Tuner to do so. No need for an apology. I probably didn't read something and responded to hastily. To "log" AFR there are a few options and scenarios. 1. Get the latest version of ATR, wire up the AFR serial output with a DB9 and the appropriate USB converter if you don't have a serial port on your PC. To log with this method, you will both the AccessPort and the UEGO plugged into different USB ports simultaneously. This is the suboptimal option since it requires a lot of clumsy wiring, you will have sync issues with aligning the UEGO output with the AccessPort. 2. Use the latest version of ATR, wire up the AFR output to either the Rear O2 Sensor or TGV. The custom sensor option in ATR allows you to log this data natively and it is automatically converted and displayed in the right units. This is probably the most ideal path but it wont work for folks that run an ATR version that was released before 2016. 3. The last and most universal option (for folks with deleted TGVs). Wire the UEGO into the TGV (its just one wire). Log like usual but include the appropriate TGV voltage (left or right). When you log like this, all you need to do is convert the AEM voltage to AFR using a simple linear equation. I believe it amounts to: 2 x TGV Volts + 10. I arrived at this using AEM's scaling data provided in their documentation. I haven't had a problem with this approach. Option 3 doesn't require ATR directly. You can do the conversion in excel but if you plan to use the data to change the map, you'll obviously need ATR. Last edited by slow.wagon; 01-26-2019 at 10:22 PM. For anyone thinking about doing this setup.. I did this exact same setup on my '13 STI, and it works great for logging. HOWEVER, I just tried getting a state inspection done this past weekend and my car FAILED because the o2 sensor says is "not ready". If you live in a state that requires emission testing, this will also happen to you. Will this also work with the x series gauge? I haven't done this yet, but wouldn't a tuner be able to block the o2 codes and force readiness? They can block the codes so it doesn't trip the CEL, but they can't force readiness to my knowledge. Sorry to bump an old thread. For 0-5v white wire, is it just getting tapped into the ECU wire, or is the ECU wire totally get cut and getting wired into the gauge 0-5v wire? When I asked Phatron if I could log my AFR with my AP v3, he sent me the link to a kit sold by Moore Performance, but it comes with a relay and extra wiring that you don't need and can't justify spending $85 on. Overkill for just trying to log AFR on your Cobb Accessport. All you need to do is tap your AEM UEGO's 5v output into the correct wire that the ECU would normally use to read off of the Rear O2 sensor (or TGV Left/TGV Right) and then configure the Custom Sensor Input in Accesstuner. I considered going straight to the harness coming out of the ECU, but opted to go with where I had a little more room while the engine was out which was right at the top of the transmission where there is a connection between two plugs. You may find it easier to tap in at a different location, say, further down the line towards the bottom of the car, or the other direction closer to the firewall. Plug for the Rear O2 sensor on top of transmission (you may also use TGV Left or TGV Right). I fed the wire through boot for the Right Hand engine harness, then silicone'd over the slit I made. The wire will come through behind the glovebox area. My AEM UEGO gauge's 12v ACC source is tapped into the radio harness and grounded nearby. The 5v output wire for logging (also conveniently a solid white wire) will connect to the yellow wire that we just routed behind the radio. *Note - you can also use TGV Left or TGV Right for monitoring and logging. Just depends on what you want to tap into, and what might make for the easiest access. **Note - Just another note to anyone installing a AEM X-Series Wideband UEGO with the Bosch LSU 4.9 sensor, you also need to ground the BROWN wire for analog sensor ground. Otherwise it wont output 0-5v to the ecu. It is hard to tell in the pics, but he's cutting the line completely and sending the 0-5v from the WB to the ECU. You can kinda see the cut end of the wire peeking out of the wrap in the pic where the new line is spliced in.